It's over! The end of an era! Here is the very last compilation of the Booster series. I always liked these compilations, even if at the beginning I questioned the artistic character of the project. 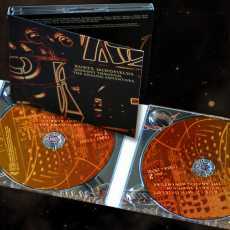 Afterward I let myself charmed by the main idea behind these compilations which is to introduce the greenhorns to the music of Tangerine Dream while giving to the aficionados some rare, unreleased, remixed and new music. And throughout the seven volumes of this series, the goal aimed was always respected, even if sometimes the new tracks were not really new and even if the remixes had this knack of scratching my patience. And I don't know why, but here I find that this “Booster VII” is bloody better done. It starts with a new version of "Tamago Yaki 2015", a track that we find on the Kyoto released in 2005. It's an album loaded with music forgotten in the vaults which was composed by Edgar Froese and Johannes Schmoelling around 83. I had found this album good, nothing more. A little bit disappointing, considering the impact of Schmoelling's departure on the direction of Edgar's band. But no matter, here it sounds quite good. The arrangements make very Froese of the Stuntman years, while the moods flirt with the era of The Keep. Always from the same album, "Industrial Life" is more dynamic, but leaves me a little bit cold. It's a lot of noises for not much. But surprisingly, after some listening (especially in my car) it flows pretty nice. "Chilly Moons" is a delicate ballad which is also the fruit of this collaboration. The wild race of "Diary of a Robbery" (oh do I hear the skeleton of Silver Scale here) comes from GTA5: The Cinematographic Score which is a strong album. "Bad Seal" is a good track also taken from this album where the play of sequences and the sequenced rhythms plunges us in the Franke/Froese years. I never liked Chandra: The Phatom Ferry, PartII, but inserted here the ambiospherical ballad that is "Rotcaf Neila" appeals me a little more. That's what makes the strength of the Booster series. Everything becomes different, as if by magic! And guess what? I also quite liked this surprising remix of "Dnammoc Su (Neat Mix)". The melody which roams in the background throw me a heck of an earworm for days after. "Pilgrims to Elysium" is a new composition and a very good one of which the peculiarity is to cross marvelously the bridge between the Schmoelling and Haslinger years. A little more dynamism and it would have given quite a whole result. The track grows ceaselessly but without ever overflowing really its minimalist road. The effect of violin on the other hand embraces the ethereal atmospheres of the more contemporary years. Afterward we are entitled to "Apparently Lunatic Hierarchy", pulled out from the Franz Kafka:The Castle album. It's a short intense track filled with strong atmospheres while "Barnabas the Messenger" is rather average. Let's say that there are far much better tracks on this album, making of this selection a debatable choice, except if it's for Edgar's six-strings solo. "Gate of Saturn" doesn't need any more presentation. It's an inescapable track in the most recent years of the Dream. "The Light Cone 2015" closes the first CD with a beautiful remix of this piece of music pulled from the very good Pinnacles, a wonderful album solo that Edgar signed in 83. This track is at its third version and the work is fine here. Its key point? It gives this taste to hear again this all time EM classic! We find "Parallel Worlds" in The Keep and its presence seems to serve much more a hidden introduction to the surprising "Polar Radius" which is a very interesting new track from Froese and Schmoelling. A track which plunges us back into the ambiences of Flashpoint and The Keep with a cheerful finale which throws us literally in the golden years of the Dream. This is as unexpected as very good. "Heart Throb" and "Shadow and Sun" are two tracks written by Edgar Froese and Ulrich Schnauss which let glimpse immense possibilities for the Quantum Years. It's a good mixture of e-rock where the EDM approach floats in structures which bicker constantly between ethereal phases and others more boiling ones. There are Jerome's perfumes in "Shadow and Sun", the best, according to my tastes, of these two tracks here. That's always pleasant to hear "Matter of Time (Red Canyon Remix)", and this no matter the flavor that we give to it. Its remix doesn't manage to destroy this delicate morphic lullaby which hesitates to lull and to perturb our idea of sleep. "Rim of Schiaparelli"? It's a powerful track pulled out of the brilliant Mars Polaris album; one of the very good albums of the TDI era.This I have to write about one of these days. "Silvery Ice Lake" is also a new track which wears the seal of the Sonic Poem Serie ambiences with very dark, very melancholic atmospheres, surrounding a rhythm which grows gradually without ever exploding. Other real newness, "Morning Sun" is a beautiful very gloomy ballad which follows an always aggressive tangent. That reminds me the kind of the Melrose years. But it fits very well here. In this big envelope of diversity which surrounds the 21 secrets of this Booster, it flows very well. "Le Combat des Épées (Director's Cut)", written by Thorsten Quaeschning was always my favorite of the Jeanne d'Arc album. This reorientation offers additional minutes but modifies not at all the structure of the music where Picture Palace Music's aromas float all around it. It 's a good Electronic Post Rock, as Quaeschning likes so well describing his music style. Go get this without hesitation! 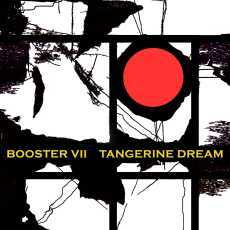 This “Booster VII” is quite a sonic and a musical cream where all the flavors of Tangerine Dream, periods 83 to13, float with this irresistible desire that the fans from the very beginning have to blubber as to cherish. Damn Edgar, I am going to miss you! I like well the productions of the American label Spotted Peccary. They are neat. The music is gleaming and agreeably stylized. The styles are always astride the limits between the ambient music, tribal ambient, the contemplative soundscapes, the progressive New Age and the Berlin School. 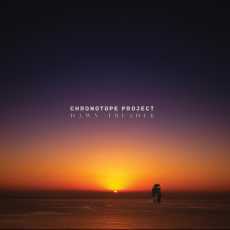 This is exactly the sound pallet of this first album from Chronotope Project. Project of the American cellist and multi-instrumentalist native of the Oregon, Jeffrey Ericson Allen, Chronotope Project offers a highly esthetic approach where a panoply of acoustic instruments which marks out the furrows of “Dawn Treader” surfs marvelously with an electronic approach which seems to be inspired as much as Steve Roach's silences as the ethereal movements of the Berlin School signature. The title-track sets the tone with a structure of sequences which takes forward its keys by brief movements of jerks. That gives an effect of ambient Berlin School with sound effects which brings us near of cosmos. The introduction is then transformed into a kind of ethereal ballad with a structure of mid-tempo where the elements sparkle throughout the soft caresses of the effects of a guitar and its clothes of Lap Steel just as unctuous as these cosmic choirs which will feed the last phases of the slightly spasmodic rhythm of "Dawn Treader". "The Scent of Evening Flowers" follows with a more ambient structure where the sequenced keys sparkle on the slow movements of the synth lines which make the cosmos crying. There are essences of Robert Rich in there. "Basho's Journey" leads us in some very introspective territories with a nice Kyoto of which the strings resound in the tears of a Chinese violin. It's especially ambient and very meditative. "Ocean of Subtle Flames" is going to wake us a little with a structure of rhythm which makes its keys gallop on the vast sonic territories of the East. Still here, the effects of Chinese violin invade the moods loaded by long occult hummings. But not as much as the black winds which moo in "Omphalos" where a tick-tock teases our ears with a timer which will never explode. We are in Steve Roach's very dark ambient territories here, even if the carillons try to whisper an aura of Tibetan monastery. "Canticle of the Stars" bears well its naming. It's a nice spiral melody with ambient voices and clouds of interstellar mist which haunt the senses and of which the warm breaths caress the rotary and minimalist unreeling of the sequences whose movements embrace a little those of the ambient rhythms of the Berlin School. "She Who Hears the Cries of the World" ends this first opus of Chronotope Project with a carillon approach which reminds me the delicacies of the music of Sensitive Chaos. It's an ambient piece where the sequenced keys are ringing in a shape of small bells ballet pushed by lushes of woosh and wiish. Each luster is reflected on Chinese shadows which spread their harmonies in a more or less sibylline envelope, reminding that the music of Chronotope Project has borders only the limits of our imagination. "Viking 1" starts this new Arcane sonic adventure with a series of harmonious loops which roll on the jingles of the percussions adorn of crotale effects. Breezes of synth with a soft Hispanic lunar perfume (I hear Vangelis here) coo like electronic nightingales, revealing melancholic solos which make counterweight to the cheerful approach of the minimalist loops. From ambient and floating, the start of "Viking 1" switches for a beautiful electronic ballad with a suite of whistled solos which wave such as the harmonies of an ethereal waltz. Paul Lawler exploits completely the six minutes of "Viking 1" by binding his music with percussions of which the slow flow draws the lines of a good lunar down-tempo where stroboscopic sequences hiccup in parallel and a suite of lost chords arise from the limbos while the synth always manages to whistle its ghost harmonies. Ah.... The beautiful sonic universe and musical (I insist on this point) of Paul Lawler. All in contrasts and yet always so homogeneous. Even if his music is strongly inspired by the 80's era of Tangerine Dream, the prolific English musician/synthesist is before all a real precursor who likes experimenting his new equipments with an approach which is always so magnetizing. Composed after the last jets of Perihelion, “Landers” offers around thirty of EM which is nevertheless all its opposite. "Lunar-9" plunges us into a cosmic film environment with the movement of a metronome which weaves a minimalist ambient beat. 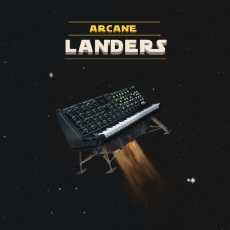 Sound effects, synth lushes a bit fluty and very relaxing as well as fragments of vampiric solos knit an atmosphere of loneliness and decorate an interstellar landscape where the time seems to be short of seconds. It's very ambiospherical. It's also very wrapping. "Pathfinder" inhales a few these ambiences while being very near the repertoire of Tangerine Dream at the level of sequencing pattern. The sequenced keys skip in a shape of a spherical ballet with wide loops finely hatched where the synths spread tearful harmonies and layers as dreamy as melancholic. The percussions which fall weigh down the step and remodel the status of "Pathfinder" for a good slow dance-tempo hypnotic as we like them. "Venera-7" exploits also a series of melodies which coo in loops over a cascade of chords of which the tone resounds as that of an ancient harpsichord. The structure is magnificently attractive. Ambient and relaxing, the melody oscillates between our ears such as the wavelets which bicker on the surface of a lake filled by a crystal clear water. What strikes the most is this duality between the darkness and the brightness and of which the resultant offers a splendid ambient electronic ballad with a stylized approach which is reminiscent of the atmospheres of the Phantom of the Opera. This is a great track! And as very often, Paul Lawler keeps the best for the end by amassing all the principles of his first 20 minutes to condense them in a track which is going to nail us in our armchair. "Philae" begins with a lively rotary movement of the sequenced keys which encircle a wall of electronic tones of any kinds (I adore these effects of gas of spatial machineries). Little by little, these keys form a pattern of rhythm which challenges the parameters until then imposed on “Landers” by accelerating the pace. A very good bass line makes a first appearance here, propelling the rhythm of "Philae" towards a strong up-tempo of which the effects of contracted jerks weave a stroboscopic approach. This long onset of rhythm turns into a good and a more livened up phase which is adorned by these solos so ethereal which paint all the corners of “Landers”. And quietly, "Philae" will join this delicate metronomic structure of "Lunar-9", concluding so another chapter of Arcane which will never stop seducing us as amazing us. It's always a little bit difficult to survive a first album which put you on the map, especially in a musical crenel where the traps of the pale imitations and, especially, those of the redundancy hide in every 60 seconds. Although always strongly inspired and filled of the influences of the vintage years of the MÉ of style Berlin School, Dirk Jan Müller plays the game very well with the suite to his eponym album appeared one year earlier. Yes, there is always this the classic sound. Yes, there are always these mystic and chthonian atmospheres. Yes, there are always these layers of Mellotron and of the Hammond organ. And yes, there are always these festivals of rhythms which break out in loops. And the big difference between the first sonic essay of Cosmic Ground and this one is exactly situated at the level of these rhythms. Set apart for the slow ambient procession of "Altair", “Cosmic Ground 2” offers an epidemic of hard driven running keys which weave a legion of sequenced rhythms where the immoderation gets amplified in each title. "Sol" begins the exposure of the four long phases of this 2nd solo essay of Dirk Jan Müller under the name of Cosmic Ground with the muted hummings of a long drone where from also escapes a slight iridescent line of mist. The long droning torsade is nibbling at our walls, forging the beginnings of an ambient rhythm which circulates like a slow effect of go and come inside our eardrums. Pulsations paw the ground with impatience just before the bar of three minutes is reached. It's the beginning of the festival of the electronic rhythms embroidered in an analog sequencer as furious as accurate. The loops of the rhythm scatter its variances, weaving a long hypnotic route knotted by fine upward effects where from sometimes appears another cycle of rhythmic turbulence doubled by a game of keyboard with chords as much agile than frivolous. The ambient hoops of the introduction come back to blow our ears with sensible inserts which decorate the minimalist effect of this structure of sequenced rhythm where a Mellotron covers by places of ethereal mist. We are also going to hear knockings and effects of psychedelic brilliances, kind of Phaedra, on this long railroad cargo of keys disruptive of hypnotic sleep of which the first peculiarity stays its originality. Indeed, set apart a vague resemblance with the analog rhythms of the Phaedra or Rubycon years, the rhythmic structure of "Sol" remains all the same rather unique due to its threadlike minimalist stamp which reaches almost the 15 minutes against 5 minutes of atmospheres. "NGC 224" is clearly more violent with flavors which put on the signature of Redshift. The introduction is very theatrical with loops of a synth full of John Carpenter charms and wide fog banks of black resonances static. While the machinery snores royally, the keys already begin to sow the disorder even before the point of three minutes. The rhythm which appears from it is simply furious. Much more furious than "Sol" with keys, their shadows and the shadows of their shadows, which skip and drum on the spot and whose pile has no other choices than forming a long train which hiccups and skips of everywhere. The sound decoration remains the same as in the first opus. Only the rhythm abounds in originality with effects of tremor and with more violent phases of ascent which are added here and there, thwarting the plans of the minimalism and of these effects of repetition. It's awesome! "Organia" offers a much longer ambiospherical introduction. The atmospheres are nebulous and made up by layers of voice which float on a nest of reverberations of which the slow torsades sound like the breaths of the Devil. The layers and floating waves of the Mellotron are intrusive and move us closer a little more to the dark atmospheres of the first sonic chapter of Cosmic Ground. The pulsations burst a little after the point of five minutes. Here, the sound of the sequenced keys is more nuanced. It's closer to the dark zones of Méphistophélès with black shadows which breathe and skip in an intense waterfall of resonant pulsations which is rolling at a brisk pace. Still here, Dirk Jan Müller weaves of the genius by adding a plethora of related noises which is over sizing of all its charms. It's a beautiful violence of eight minutes before "Organia" goes back to explore again the disturbing zones of black atmospheres of its opening. 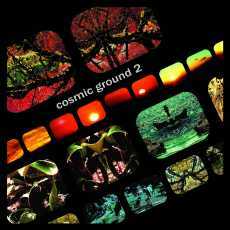 After all this bath of rhythmic violence, Dirk Jan Müller decided to close the adventure of “Cosmic Ground 2” with a beautiful monument of ambiences. "Altair" offers a sonic procession which is simply intrusive. Weaved in comfortable moods where the ether exhales life and where the cosmos encroaches on the Earth zone, a slow structure of rhythm is born with smothered knockings a little before the 5th minute. These beatings become in fact tom-toms which drum like in an effect of passive trance under a thick cloud of reverberations painted by all of the interstellar colors. Knotted in the discord and in the excess of speed of certain of these beats, the movement becomes more fluid but stays relatively ambient. And yet again, D.J. Müller structures his rhythmic approach in the originality with additions of clashing and random elements which make of "Altair" an extremely mesmerizing piece of ambient music. Even when the keys and their shadows which beat are disappearing in the night-anesthetic pads of a magnificent mixture of organ and Mellotron which regains control over "Altair" just before the 12th minute. The patient ears will be rewarded because Cosmic Ground unwinds another lively and jerky structure of rhythm which hiccups in a heavy echo for the last 3 minutes of "Altair", concluding an album as attractive, I would say even more powerful, than the very first opus of Cosmic Ground with this “Cosmic Ground 2” where the retro kind Berlin School opens its cracks of originality to charm so much that in the 70's. An excellent discovery and one of the most solid albums of 2015. I have mentioned recently that the EM of the analog moods knew a new lease on life among the young maker of new sounds who are in search of the pinnacle of the electronic virginity. The essays abound on YouTube and it's even transform into albums where the false from the real stays always difficult to encircle, unless we are clear and precise. Like here where Dirk Jan Müller enumerates his list of equipment by insisting on the fact that no MIDI technology or/and equipment and synth software are used. The result? An album warm in sounds and in emotions. Cosmic Ground is not inevitably a newcomer in the spheres of EM. It's the project of Dirk Jan Müller, founder and keyboard player of the famous German group of totally psychedelic Krautrock; Electric Orange which took root in the lands of the underground EM at the very beginning of the 90's. It's a return to basics that he makes with this impressive “Cosmic Ground”, because initially Dirk Jan Müller had begun his solo career with 3 albums, from 91 to 93, which were strongly inspired by Tangerine Dream's Baumann-Franke-Froese period. Proposed in a limited edition 500 copies, “Cosmic Ground” comes with 4 long tracks all built on the same vintage rules with mystic banks of mist and a lot of chthonian voices where the Mellotron is the king of a fauna vandalized by jumping keys which are also smiths of harmonious rhythms. 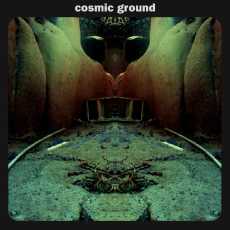 The manufactured CD edition being totally sold out, this first album of Cosmic Ground is also offered in a quality download format on the Bandcamp page of the artist who also offers a track in bonus (Decay) stretching the album into a 2 CD-r full of EM where the expression "return to basics" is of the most appropriate here. A dark shadow of a synth clears its interstellar sighs at the opening of "Legacy". Clouds of mist full of ether and layers of faded voices assail our ears, while some irresistible flavors of Phaedra revive our memories. The illusion is completed. Tears of synth and chords are strolling adrift in these mystic atmospheres fed by a splendid Mellotron, whereas a discreet pulsing line forges quietly the genesis of a rhythm which will hatch at around the 6th minute spot. At first dimmed, the pulsations are banging with strength and vigor. So much that the water which oozes on walls drip with the fear of being sprayed by this rhythmic train which emerges from the caves of "Legacy". The rhythm beats to the measure of an industrial machine on the edge of crashing down off the rails. Lively and fast, it is like a spring tense at its most which bombards until it breaks. Fine archs are relaxing the tension, curving a bit the linear movement where the shadows of the keys get loose in order to bite the back of those which are hanging around. Other keys get out of this wild race, modulating oscillating loops which give a more musical structure to the rhythm. But it is not finished! Our ears which hear the jingle of the drops will notice farther these industrial waves which go and come, forging the complementarily of a structure of rhythm of which the complexity fed itself of these keys which go into the race or which leave it, creating the illusion of revival in every cycle of a vintage electronic rhythm which runs away from the redundancy in spite of its deep minimalist flow. Down from its 14 minutes, "Legacy" weaves the main lines of “Cosmic Ground”, and by ricochet the music of Cosmic Ground. And "Deadlock" is leaning on the same principle. A foggy introduction sustained by some dark and mesmerizing lines of old organ which lay down the bases of a chthonian start. Some rangy effects of reverberations decorate these abyssal ambiences which give the impression that we attend at a sound mass for little devils. Jumping keys are pounding around the 4th minute, weaving an undulatory rhythm, like a train crossing a valley loaded of small mountains, at which the jingles nibble delicately. The rhythm is peaceful, almost ambient, with good sound effects, like these hoops which go and come with more lucidity than in "Legacy" and whose episodic heaping up is sounding like a choir of zombies in trance. We are in the lands of Tangerine Dream with a beautiful perfume of contemporaneousness. There is no preliminary with "Ground"! A heavy chord falls, scratching the ears with effects of reverberations which escape from it. Chords of keyboard nibble the first 2 minutes, just a bit before that a line of bass sequences forges a black rhythm which skips over the processions of mist. The keys untie their shadows which gallop in all directions with the swiftness of a wild race deserving of the best electronic rhythmic phases of Redshift and Radio Massacre International. On the other hand this movement of rhythm is brief because "Ground" is more a monument of glaucous atmospheres where the phases of rhythm fall to pieces, run out and go and come in approaches and different formats. We find them almost everywhere but it's more the landscapes of black ambiences which remain the heart of "Ground". It's a mixture between the atmospheres perfumed of ether from Klaus Schulze and those of the first steps of Tangerine Dream where there are a lot of intense moments which will throw tons of frightening discomfort in good horror movies. I found that a bit too long. Especially that "The Plague" continues on the same avenue with a music of black ambiences where the Mellotron is king and puts to sleep all of the jumping keys in its anesthetic coat of mystic mists. These keys will make a strong comeback after the slow and black intro of "Decay". Pulsations pierce an opaque cloud of mist and of chthonian voices near the 6 minutes, weaving a pulsatory rhythm which beats laconically in a dense magma flowing out from the lands of Mephistopheles. The beauties and the attractions of "Legacy" and "Deadlock" abound here, but in a different format where the subtle nuances remain the cradle of our surprise. Yes! Cosmic Ground is an artist worthy to be discovered if we look for the perfumes of the vintage years, and this eponym album is of this Grand Cru in EM. A discovery and an inescapable in 2014!